WordPress offers a variety of different features that make it an ideal platform for search engine optimization (SEO). Features like easily customizable page names and titles and custom urls allow you to use your most important keywords consistently when you create posts and pages. And a variety of plugins has also been created to take the best of WordPress and make it work even better, and give you different facets to experiment with. Here are our top WordPress tips to get a better search engine performance from your website. The title, the contents of your page’s tag, is one of the single most important factors for ranking in the search results. Not only is it the literal title of the tab or browser window, it’s also the first line people see in the search results, followed by the URL and the snippet, usually the meta description combined with a date. The meta description is utilized when it contains the phrase or word the person was searching for. Some plugins will auto-generate a description, which is not ideal. The best practice is to write unique, optimized descriptions for each page and post on your website. If you do make use of a search engine optimization plugin, it will probably work out your keyword density and let you know if you should increase or decrease it. In addition to getting the right keyword balance in your content, you should also incorporate the focus keyword in your subheadings as well. 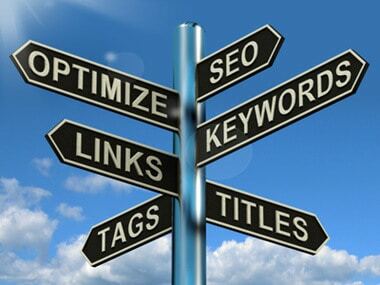 You should also aim to use your keyword in the first and last sentences of the content being published. This is the best plugin available. Although paid (from $39), this plugin is a must have on any WordPress installation and pays for itself. This plugin handles all kind of form generation and management from basic contact forms to complete content management. There’s so much you can do within Gravity Forms that I can’t cover it in this post alone. If you’re using a premium, responsive or modern theme, there are probably Master key settings for SEO that will need to be activated. In this section you can set the unique title for the site and maybe even list the keywords you would like the site to rank for. If you don’t complete these settings they may be set to default. Both Yoast and All in One SEO have good reputations for being effective and systematic about search engine optimization. It might be worthwhile to try a few out before you make a choice. Reviews are based on other people’s experiences and you might find that one works better for your type of business or content.